Fixed yet another multimonitor issue. Fixed a bug in Alter Table window. Tooltips for an icon will now list the keyboard shortcut performing same action. Info tab in html format was showing incorrect value for table’s data size having values in Gigabytes. Target was not always synced properly and SS would detect differences forever. Windows would then terminate SQLyog. This was also introduced early in 6. Fixed a bug which effected width of columns in Grid. Bug Fixes Fixed formatting issues with text-mode if multiple multi-line string columns were displayed. This was a rare issue only. Multithreaded query execution with option to allow multiple query execution simultaneously. Fixed a bug while trying to delete a row when no Primary Key defined on .805 table. Tabs will be colored if chosen like the Object Browser. Lots of minor improvements The reason for this change is that the two XML files jobfile and sessionfile have frequently been confused by users. When using this option also detailed column mapping is possible. 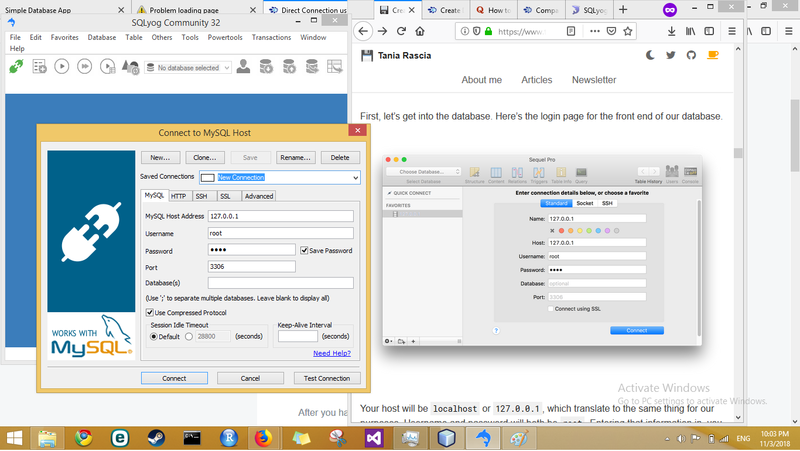 Data Sync was not allowing anonymous users to connect while reading the connection details from job files. Fixed a bug while saving a BLOB data. Important improvements for handling of character set with the data structures and for the connection. This is a command line option only that is not supported from the GUI Wizard. This completes the Sqpyog redesign we started with version 9. Fixed scrolling issues with the GRIDs. If specific but not all keywords were used for naming a column, backups would not restore. Below you can find details on how to uninstall it from your PC. Also when adding new row in such case defaults were not displayed in the GRID. SQLyog could crash when attempting to delete rows from the table having a foreign key constraint. Windows would then terminate SQLyog. Fixed a bug in Autocomplete transaction handling introduced in 7. It happened due to changing compiler to Visual Studio in 8. Take the following steps on how to do this: Fixed a bug with respect to scrolling in result and data grid. The settings for the ‘export’ tool are available from ‘preferences’ and for the ‘backup’ ‘powertool’ the option is provided by the sqlyo wizard. You may mirror the privileges of ‘root’ to a ‘superadmin’ user. Bug Fixes The data display area in Eqlyog Search tab did not handle text mode. 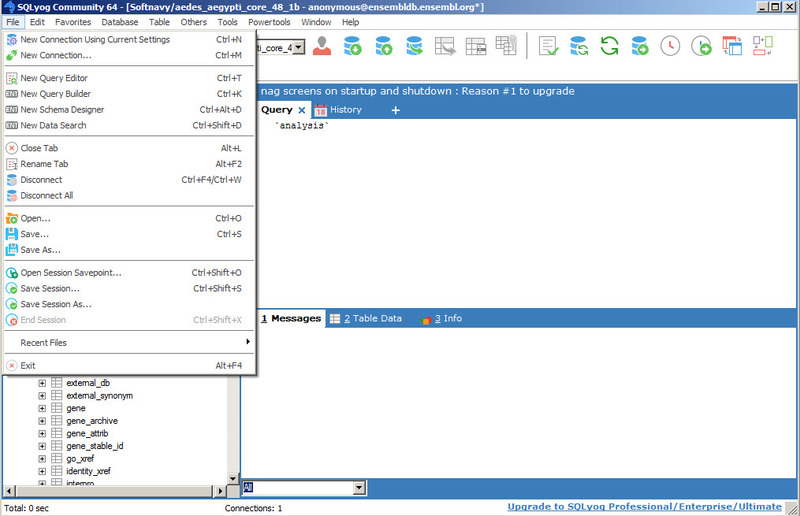 Removed the preferences option to log queries in history tab during batch jobs. Before it always aborted. Fixed bugs while exporting data as CSV. When executing a query not returning a result set focus would leave editor unless the ‘keep focus on editor’ option was set. Lot of minor bug fixes All users using 8. Those left that are not resizable now are either those where it would not make sense and some that will very soon be replaced with another interface. It was false alarm but now such Manifest is included with the installer.